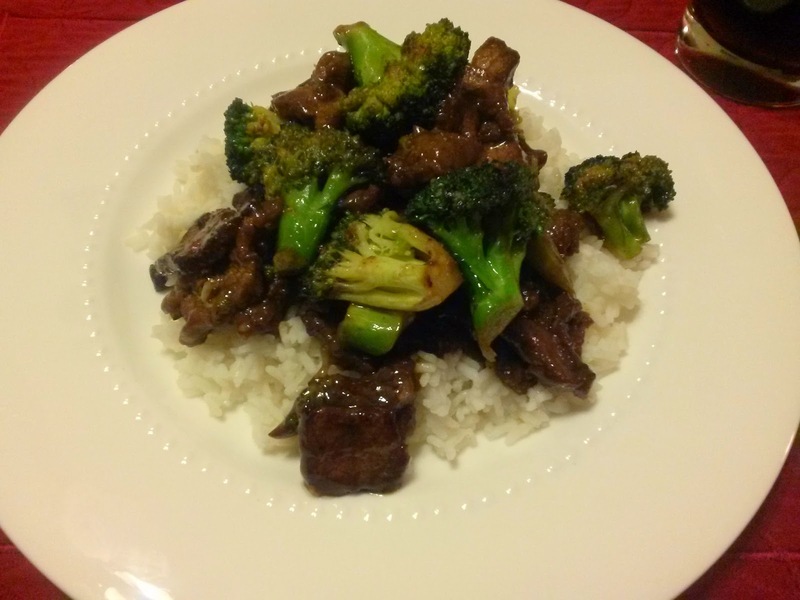 Even though I pretty much always order beef and broccoli when offered Chinese food, I haven't tried to prepare it at home until yesterday evening. I'm pleased to report that it turned out! It would have been easier to have settled upon a single recipe to follow, but I created my own version, combining my two favorites found on Pinterest. One I loved for its simplicity (i.e. fewer ingredients make it far easier on my wallet) as well as its pretty pictures that showed each step. The other was more complicated (with not only a plethora of ingredients but a preferred brand for one of them) but shared secrets on how to achieve excellent flavor and provided better text instructions. I am thankful for finding both. I hope my own recipe is a happy medium. It looked like it should and tasted delicious! 1. Mix marinade ingredients in a bowl. 2. Cut steak and then add to bowl, tossing until coated thoroughly. Cover bowl with plastic wrap and place in refrigerator for at least an hour. I finished slicing the steak, tossing in the marinade, and covering the bowl around 1:30 PM. I started preparing dinner early, I suppose around 5:30, so it had four hours to marinate. 3. Later, in a small bowl, mix the sauce ingredients together. 4. Mince a clove of garlic and pour a teaspoon of vegetable oil into another small bowl or dish. 5. Break up heads of broccoli and then cut into smaller pieces. 6. Pour a bit of vegetable oil in a pan and place over high heat. When a piece of beef hits the pan and sizzles, put half the meat into the pan, making sure it's a pretty even layer. Cook for a minute. I set a timer. Flip meat over and stir it around continuing cooking for a minute and a half. The meat will just be browned and not really pink any longer. Transfer the cooked meat to a plate or bowl. 7. Repeat for the second half/batch of meat. 8. Add a bit of vegetable oil to the pan over high heat again. This time, add the broccoli and cook for half a minute. Add the water, cover with a lid and turn the burner knob to medium. Wait two minutes. 9. Push the broccoli towards the sides creating a hole in the middle. Scrape the oil with minced garlic into the center and allow it to cook for a half a minute. Then, mix all the ingredients in the pan together. 10. Add all the beef to the very full pan and carefully stir. Scoop the sauce on top and then stir everything again with care. Cook for a couple more minutes. Cover. 11. Make white rice according to number of servings needed and package instructions. 12. 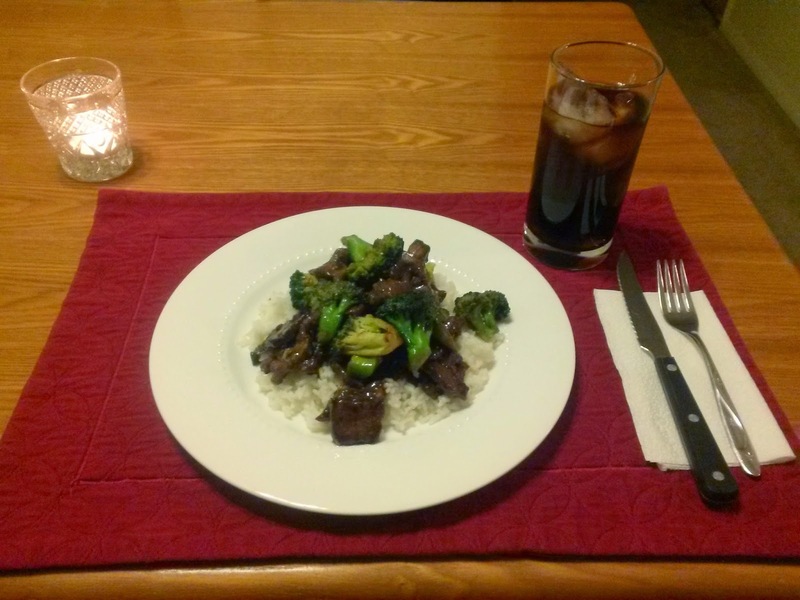 Spread cooked rice into a bed on the serving plate or bowl and then top with spoonfuls of beef and broccoli. *I will try 1 or 1-1/2 tablespoon(s) of brown sugar in the future since I'm not balancing hot flavors with its sweetness. Plus, I don't like very sweet meat. Live and learn. I am so happy that I tried this! It was worth the splurge. As you know, pasta and vegetables cost significantly less than meat and vegetables, so my grocery bill was higher than usual. Luckily, my last paycheck contained a bonus. Plus, I bought those three bottles of Chinese condiments, at least I have them in the fridge and pantry now. What I prepared will last me a few meals plus I stored a bit of steak in the freezer. It's nice to have a dish that's not Italian or American come out of my kitchen. Something different. However, I'll still be ordering beef and broccoli takeout or dining in a Chinese restaurant as I would miss the fried rice and fortune cookies! ...including in Philadelphia's Chinatown! I also believe this is a great recipe with an assistant! Ideal to cook it with someone. The prep work of slicing all that meat thinly and then marinating can be accomplished alone. But then, bringing everything together later, instead of waiting around, I was constantly attending something, each step only taking on average a minute, and as a result, my kitchen was messy. As you can imagine, nearly every bottle dripped down its side. I also left making the rice until the last minute, which was fine since it cooks so quickly. I was busy but bringing everything together was done quickly. I needed a trial run, but for all subsequent times, I think it would be more efficient with an extra set of hands and more fun with two. 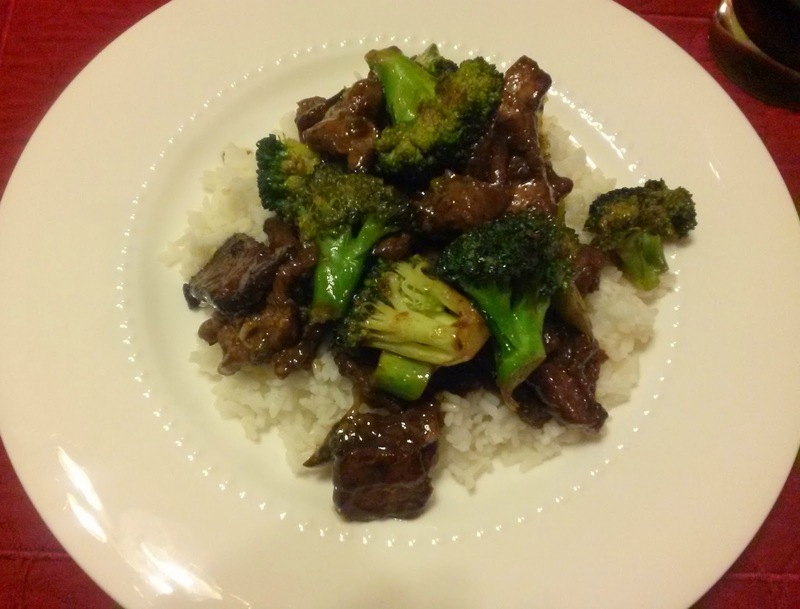 This beef and broccoli is our favorite too. You present the dish very well and I'm sure it's delicious too. I've meant to comment for some time since I came through Kate's Une Vie Chic blog. You'll be on my reading list:) cheers! I haven't made it since my first try but will have to soon! Benvenuto! Welcome! Thank you for reading. Kate's new blog is Seeking Small. In addition to being a fellow lifestyle blogger, she is also my friend. She is moving to England very soon!